While I love to be inventive with wild game recipes, I prefer to stick to the tried-and-true favorites for my deerslayers. Of course, even the best tired-and-true recipes need to reflect the preferences of those for which they are prepared. My deerslayers love dried cranberries, but raisins, not so much. We prefer pecans to walnuts in just about everything. Must be a Southern Thang! 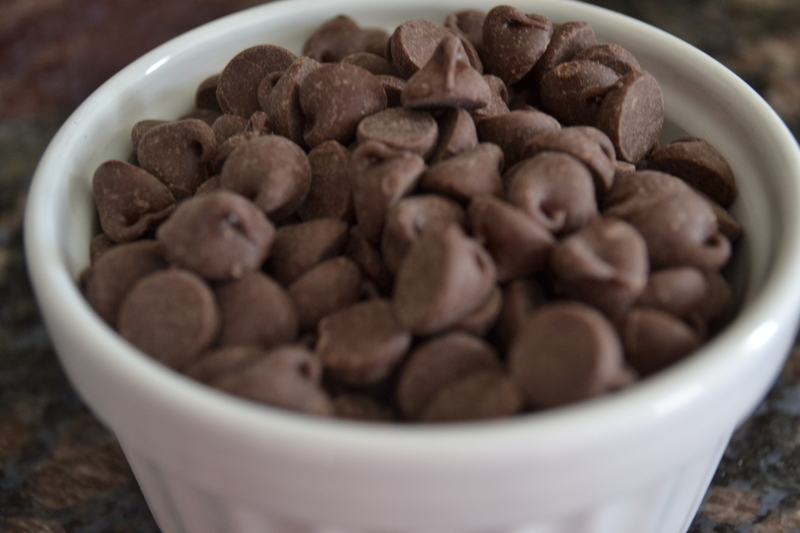 And of course any cookie recipe is made better by adding DARK chocolate chips. Just a personal preference. 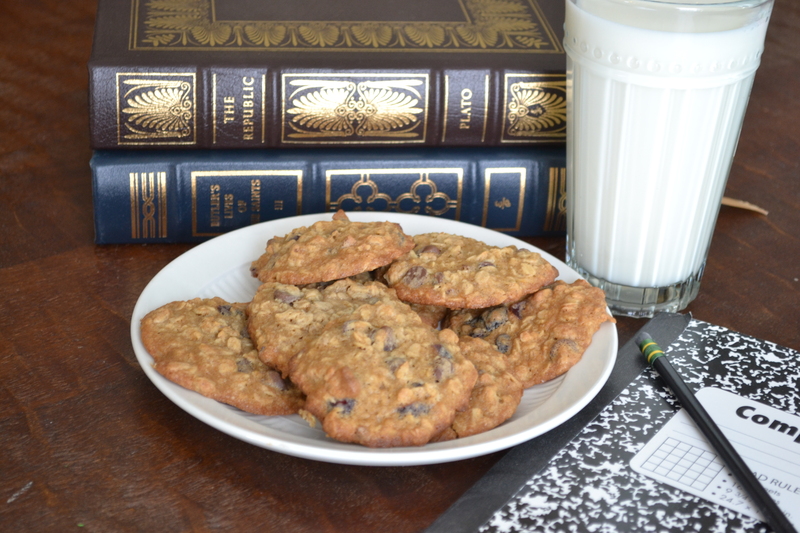 That’s the great thing about cookies; They become your own family recipe with just a few additions. Enjoy the love that you will share and the gratitude you will receive! *This post is dedicated to the Deerslayer’s brother who loves cookies more than anyone I’ve ever known! He has been able to elevate his love of cookies to an art form, absolutely poetic. I have to say that I have been inspired. Preheat oven to 400°. Cream shortening, softened butter, brown sugar, and eggs together till light and fluffy. Stir in milk. Sift together dry ingredients; stir into creamed mixture. 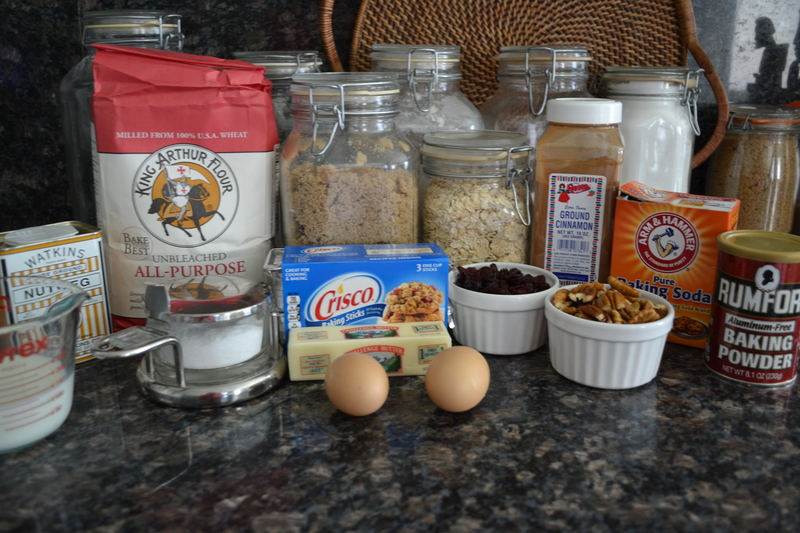 Stir in oats, dried cranberries, nuts, and dark chocolate morsels. Chill dough for about 30 minutes. I love my new scoopie thing. I got three of them in different sizes. They make even distribution effortless. 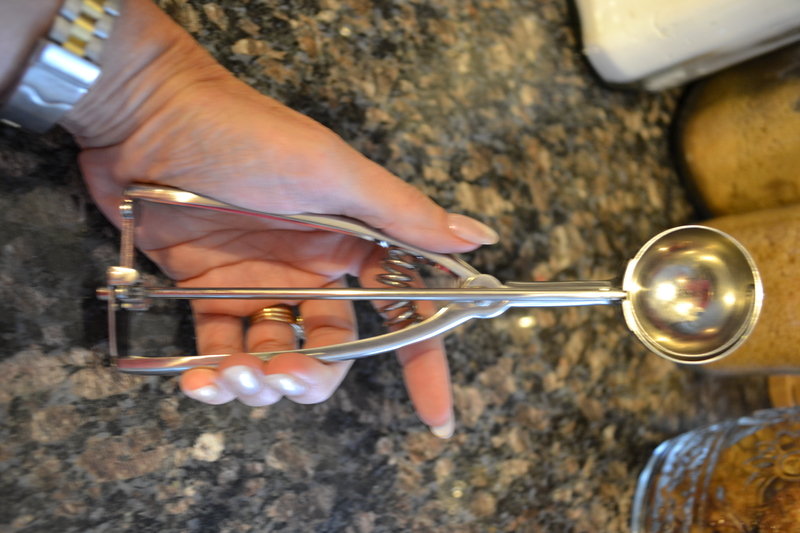 Drop from tablespoon or scoop 2 inches apart on lightly greased or Silpat lined cookie sheet. Bake in hot oven (400°) for 8-10 minutes. Cool slightly, remove from pan. My fellow Deerslayer won’t touch raisins with a ten foot pole. Or any other fruit for that matter. 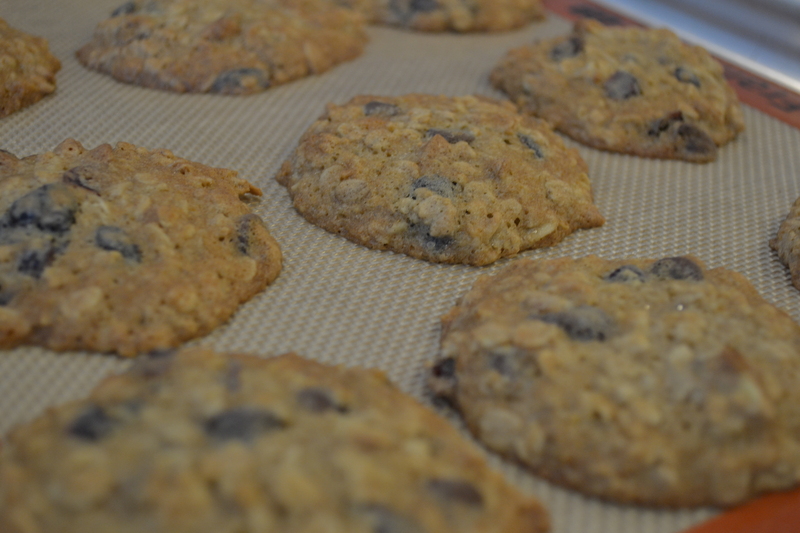 Unless I plan on eating two dozen cookies all on my own, my oatmeal cookies are fruitless. I’ll just sit and be wistful over these photos. I say leave the dried cranberries in. How tragic that you’d have to eat them all yourself! 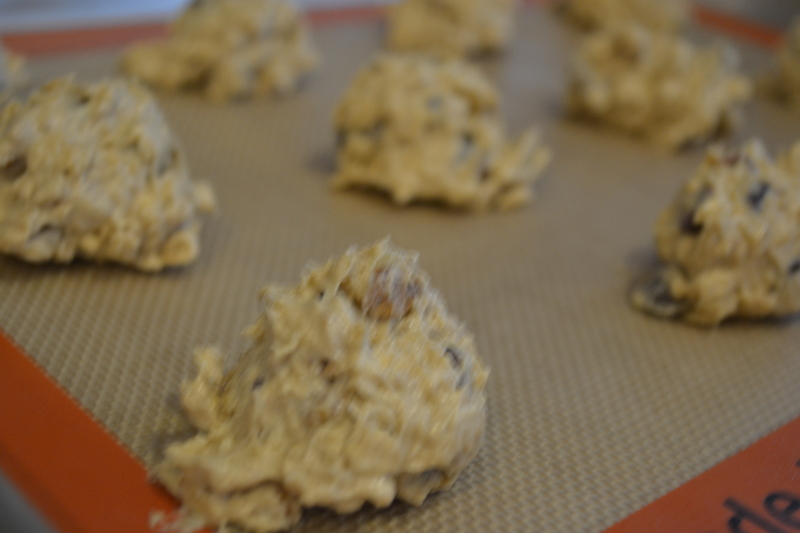 Don’t forget that you could divide the dough into two batches and leave out the fruit in half. You could double up in your batch! Enjoy. So true! 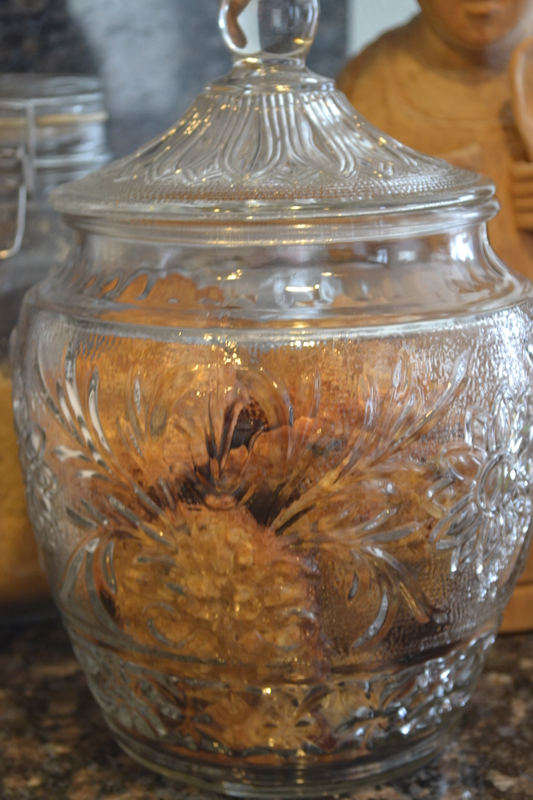 Good cookies make the world go ’round!